Alpine elegance at its best, the Gstaad Palace Hotel features luxurious rooms, fantastic spa facilities and four restaurants to choose from. 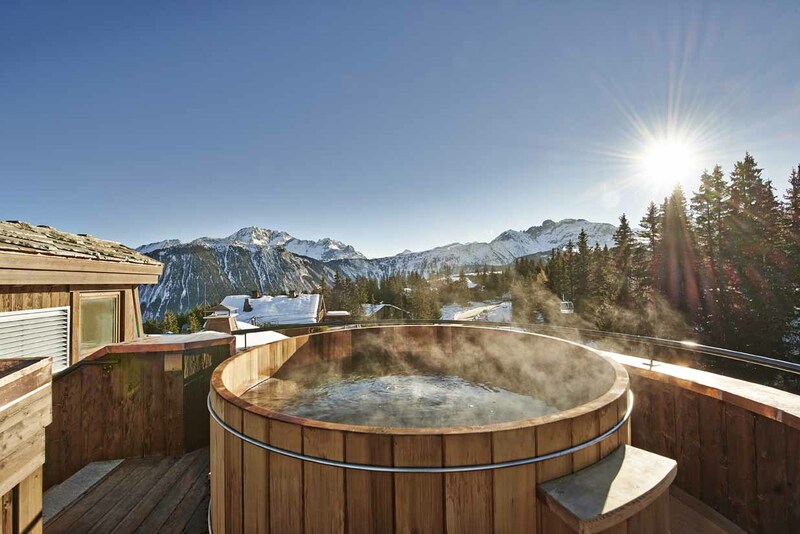 The Alpina Gstaad provides guests with stylish accommodation and fantastic spa facilities. The Alpina Gstaad is a stunning hotel and a more recent addition to Gstaad, designed with a great deal of thought and attention to detail. The rooms are beautifully decorated, while the public areas boast craftsmanship and style. Guests staying at the hotel can enjoy an indoor swimming pool, Jacuzzi and the Six Senses Spa which offers saunas, steam rooms and an array of treatments. The hotel has three restaurants to choose from, two of which have been awarded a Michelin star. Included in your stay is a food and beverage credit which can be used at any of the hotel's bars and restaurants, allowing you to sample anything from Swiss specialities to Japanese cuisine. We feature Deluxe Double rooms and Junior Suites on a bed and breakfast basis. Other suites are also available on request. The prices below are per person based on 2 sharing a Deluxe Double Room on a bed & breakfast basis, with SWISS flights from London Heathrow to Geneva and second class Swiss Rail transfers. The prices displayed are a guide only. Prices reflect all relevant offers and may be subject to restrictions on dates, durations and room types. LOW season pricing is based on 8 Dec 2018, MID season pricing is based on 5 Jan 2019, HIGH season pricing is based on 29 Dec 2018.